Mepol, which specialises in the production of thermoplastic compounds and distribution of plastic materials, has launched new range of biocompounds called Mepla. 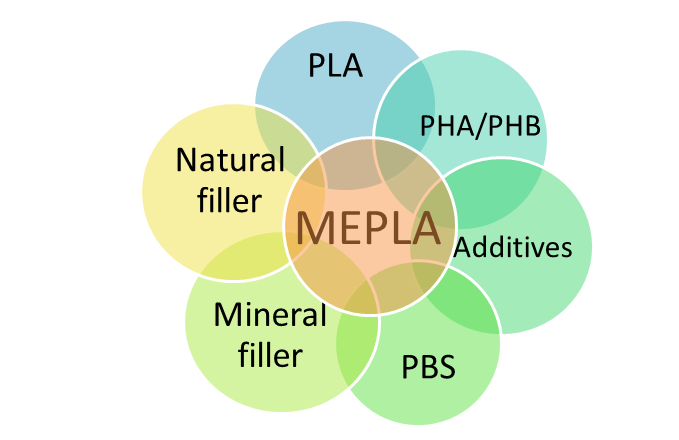 The Mepla thermoplastic compound range derives from the blending of resins, such as polylactic acid (PLA), polyhydroxyalcanoate (PHA), and polybutylsuccinate (PBS), with mineral/natural fillers and/or additives. The recipe is formulated to suit the application envisaged by the customer and to meet both technical requirements (in terms of mechanical strength and thermal and chemical resistance) and aesthetic requirements, like surface gloss and ad hoc colour, in accordance with the requirements of DIN EN 13432 and the Vincotte OK Compost certification for compostability (in the process of being obtained). The range has been subdivided into three product categories according to the type of processing, with specific grades for injection moulding, extrusion and work-in-progress films: respectively, Mepla IM, Mepla EX and Mepla FE. Mepla IM is an extremely versatile compound suitable for any injection moulding product manufactured using resins such as a polypropylene copolymer or ABS. 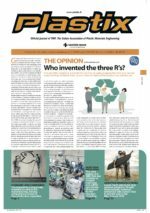 Mepla EX, on the other hand, can emulate the performance features of products such as polystyrene or polypropylene with mineral fillers, while Mepla FE simulates polymers such as high- or low-density polyethylene (HDPE or LDPE). In developing the compound, the company also takes into account users’ aesthetic and colour requirements. To this end, Mepol, in collaboration with X-Rite, a leader in colour science and technology, has developed and introduced a new in-lab colour formulation system which allows faster management and development of any type of colour, even tailor-made ones developed using any base resin, and an automated colour metering system for integration in production lines. This technology consists of a multistation blender which allows the automatic mixing of the various pigments to produce coloured compounds quickly and efficiently according to the customer’s needs.